Part of the Cumbaza watershed in Peru. Peru is one of the countries most at risk from climate change, and with 76% of people living in urban areas, a focus on climate resilience in cities will be paramount. This is recognised in Peru’s Nationally Determined Contribution (NDC), which focuses on water, agriculture, fisheries, forests and health sectors as key priorities for adaptation. Two events GCP is participating in at COP will focus on how local actions in an urban context can contribute to NDC implementation, and how community-owned adaptation solutions can reach scale. As part of the Climate Resilient Cities in Latin America initiative, Global Canopy has applied an integrated water, energy and food (WEF) Nexus-based approach to better understand interdependencies and risks around achieving WEF security objectives, central components of Peru’s NDC. Such an approach considers the inherent trade-offs found across sectors. For example, the pursuit rice production objectives for food security at the expense of increased water demands which affect water security. By identifying these synergies and conflicts, Nexus approaches can move towards holistic, sustainable landscape management to meet water, energy, food and climate targets. 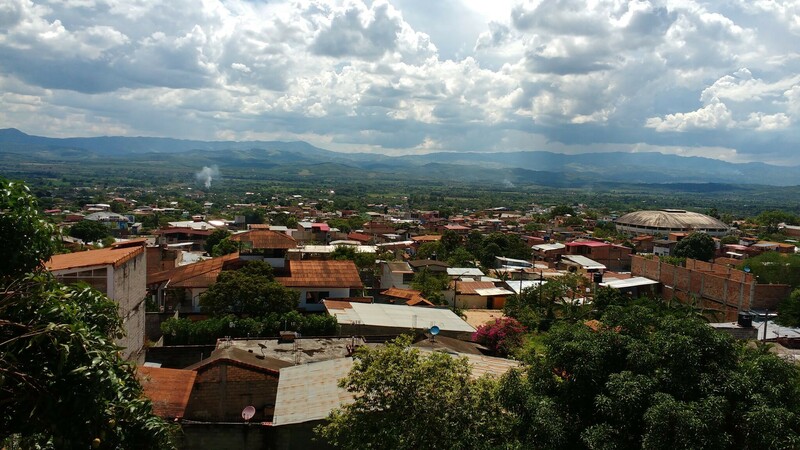 Global Canopy’s work focuses on the city of Tarapoto and the surrounding Cumbaza watershed in the San Martin region of Peru, as an important case study of increasingly urbanized Amazon landscapes. Read more here. By coupling multi-stakeholder participatory processes with the quantification of ongoing and future natural resource demands and availability scenarios, this study identifies critical resource use thresholds and evidences risks which may affect the successful completion of NDC objectives. Among some of the key results — to be discussed in the upcoming events at COP, are the increasing need to understand and manage resource use interactions and interdependencies across sectors and local-regional levels, and to incorporate differentiated vulnerabilities across rural and urban areas in existing policy interventions. Such considerations will be critical in developing strategic and specific resilient development strategies, and for meeting NDC objectives across actors at multiple scales, from the local to the regional. Green infrastructure investments are key for maximising positive WEF security impacts and building climate resilience capacity. Incentivising ecosystem-based adaptation solutions such as reforestation and agroforestry systems, stemming from locally-determined priorities, will be vital in maintaining important forest ecosystem services underpinning WEF security and livelihoods in the region. Beyond this, finance mechanisms focusing on this green infrastructure will be important for scaling resilience building actions and supporting governance capacity. Existing initiatives such as water-based payments for ecosystem services, and innovative supply chain finance mechanisms, piloted by Global Canopy’s Unlocking Forest Finance work in the region, provide important insights on the effectiveness of such interventions. These ultimately form part of efforts to move towards more climate resilient development trajectories in Amazonia. COP23 Side-event: How can local actions in an urban context contribute to NDCs implementation in Latin America? Development and Climate Day 2 event: How can community-owned adaptation solutions reach scale? Global Canopy is a tropical forest think tank working to demonstrate the scientific, political and business case for safeguarding forests. News and blogs from Global Canopy, an environmental think tank based in Oxford, UK.